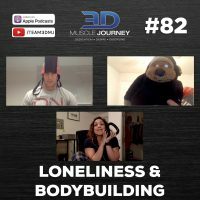 In today’s episode, Eric, Andrea, and Alberto discuss one of the most common bodybuilding pitfalls, loneliness. What can start off as a new and exciting journey, can quickly turn into a life of isolation, misunderstanding, and exiling of those closest to you, if you aren’t careful. 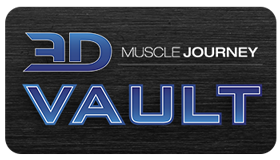 Throughout the episode, the coaches share their past and present beliefs, feelings, and experiences, in effort to prevent mistakes of the past from reoccurring in future generations of bodybuilding. For those who are just beginning their bodybuilding journey and have an insatiable excitement for the sport, the information contained in this episode is highly valuable. Likewise, if you have been in the iron game for a while, but commonly suffer from feelings of loneliness and disconnect, this episode may provide you with valuable insights and ideas for how to improve your current situation. How do you gain the self awareness to notice the people around you? Hmmm….very interesting… Like how do you evaluate your surroundings? Or how do you judge whether or not the people in your life are useful or harmful?